Keeps oil pull-up leather looking new. This kit contains the products you need to care for you oil pull up leather. 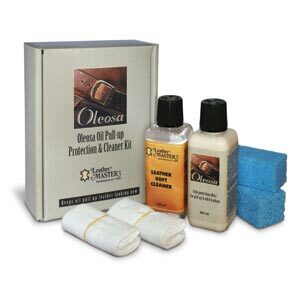 Oleosa gives the leather the fats and nutrients that it needs to retain its suppleness and beautiful lustre.